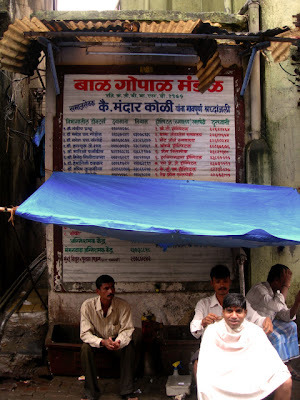 the marble-board in the background has a list of phone numbers of important amenities and persons of the area, like the police station, hospitals, doctors etc. in the foreground is a barber with his client wrapped in a white cloth. So did you get a haircut?